Stile's interactive canvas lets you create a whole range of interactive tasks for your students, such as sequencing, matching, cloze or diagram labelling questions. 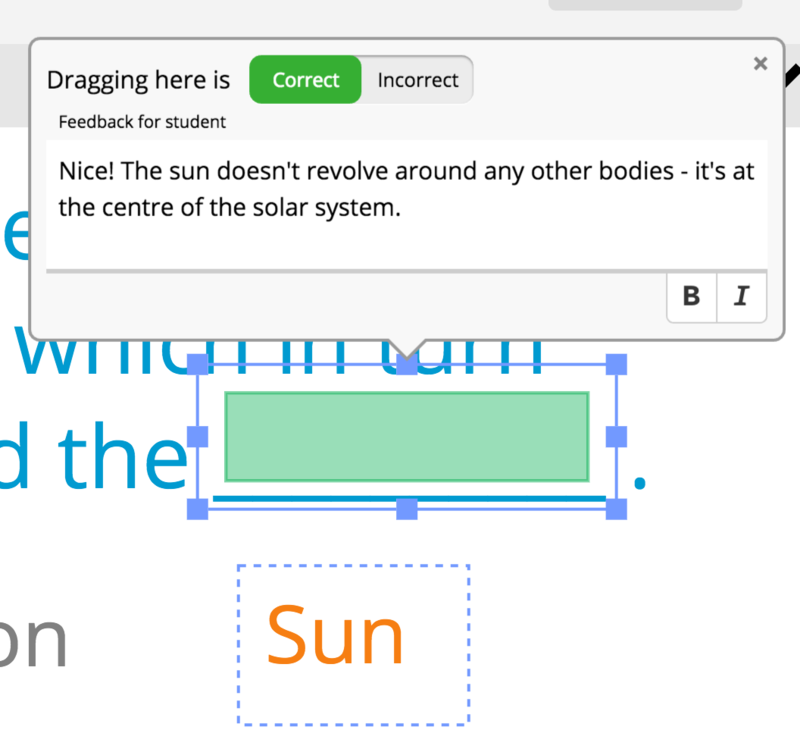 To save teacher time and increase student's autonomy, drag and drop tasks can be automatically marked and it's even possible to add automated feedback as well. If you haven't already, add an interactive canvas question from the content sidebar. You can see it in action and copy it to your own subject here. Hand in the task to see the automated marking.